When you are diving in Southeast Asia, typhoon is one of the thing you cannot avoid in summer. 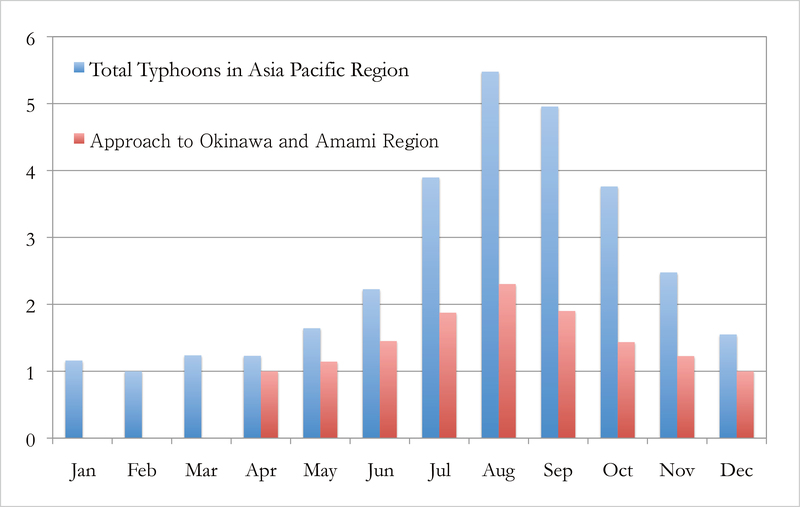 According to the data from Japan Meteorological Agency, there has been average of 26 typhoons born every year around Southeast Asia, and around 8 of them come to Okinawa/Amami area, which spreads over 700km. About four of them usually come close to Yaeyama islands, including Ishigaki. 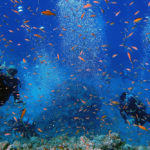 Ishigaki and Yaeyama islands form Sekisei Lagoon, and provides variety of diving points for almost all wind direction. Every once in a while, however, diving will not be available due to arrival of typhoons. This happens often in June-October period. When it is decided that diving will not be safe, our captain will call for cancellation of our dive cruise, and will notify our guests by the day before. 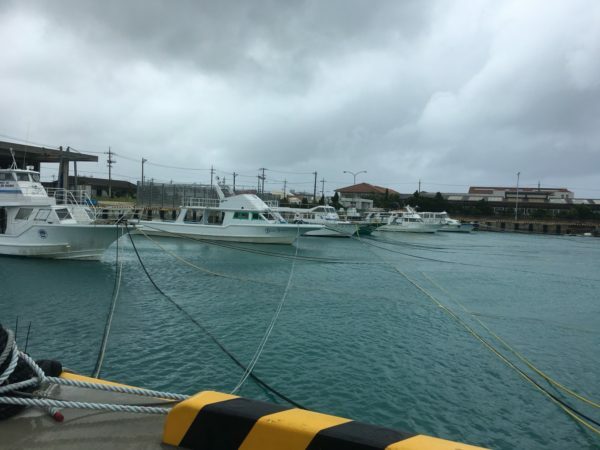 When a typhoon comes near, Ishigaki port will close, all diving boats around Ishigaki will be required to move to safe harbor in preparation for arrival of the typhoon, and diving will not be available for couple of days. In typhoon preparation, all the boats will be tied to the port with usually more than 10 lines of ropes each. The rope will be tied to all directions for every boat, creating a big spider net. As no boat can move in or out once the ropes are tied, this will be a port wide event. No boat can go out until the port closure will be deactivated. Although it will depend on the speed of typhoon, Ishigaki port is usually closed for 3 days. Is four times every year too many? Particularly during high season? Well, we hope the port will never get closed, but note that typhoon is an important natural phenomena for health of sea life. Typhoon will stir sea water of the area, bringing some cold water from the bottom of the sea, and keeps the surface water temperature at appropriate level for marine life. When there is not enough typhoon, water temperature goes up high, causing bleaching of corals, and destruction of living environment for many sea life. A typhoon is coming and you need to cancel your diving? 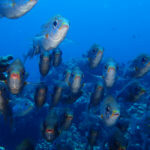 Well, that is bad, but think positive – you can be assured that you will see healthy corals and sea life the next time!